View More In Dessert Bowls. Serve your guests the perfect treat with this 8 oz. clear plastic container. 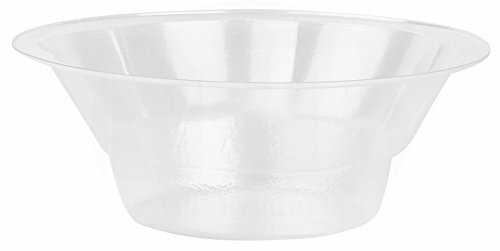 This clear, plastic dish is perfect for showing off your delicious yogurts, and can also be used to serve other goodies as well, like candies and trail mix. Made from PET, this container has a great shape and can hold a couple of scoops of ice cream.